"Sermon Writing Software for Pastors and Church Leaders"
See also Dr. Miller's sermon on SermonBase! SermonBase® Religious Software is a powerful tool that allows users to track, manage, and create sermons & sermon series by planning out your messages and coordinating your sermons with your worship services. This exciting product catalogs, references, searches, categorizes, and shares your messages, sermons and series. SermonBase Religious Software is NOT your typical �sermon software�. It is so much more! Sure we have word processing, and links to web Bible pages. But we provide tools to help you plan & coordinate your Series & Messages into a cohesive strategy for your church. SermonBase Religious Software is specially designed software to help you plan out your Messages & your Series. It allows you to link Messages & Series together, or pull them apart. You can mix and match your Messages and assign them to single or multiple Series. You can plan out your Messages and Series for an entire year (or more!) in advance. SermonBase Religious Software will not only help you plan your Messages, it will also help you to write your Messages as well. There are prompts to help you decide on your Message goals, including Intellectual, Emotional, and Action goals your are targeting for each Message. There are entry boxes for your Message Content, Introduction, & Conclusion. When you are done, one click of the Sermonate button will gather all elements of your Message together into one complete report. With our unique year-at-a-glance, or range-at-a-glance view, you can see your entire set of Series planned out for the year, or a range of any length of time, from two weeks to years in advance. It will help you to plan out a year or more of messages and sets of series with ease. With SermonBase� you will be able to get a quick overview of your entire year (or more) of messages. You can quickly create new series, or reschedule series and messages on the fly. It will help you to locate any message you have ever given, quickly and easily. You can search by Title, Topic, Scripture or Date. You can print reports listing all of your messages in a particular year(s). You can print up a Series Report, showing the big picture plan of your upcoming Series, and all the associated Messages with it. You can coordinate all elements of a service so that they flow with the big picture focus of your message. You can track music, videos, dramas, testimonies, and other elements of the service months ahead of time, so it all comes together on Sunday. In SermonBase� , you have access to every one of your Message Word files, PowerPoint files, or Audio Sermons with the click of a button. Export sermons in multiple formats ... and much more! You will be able to send out reports to your team, or to your Leaders, a detailed Sermon & Series Plan for any series, or for the entire year. "I�m thoroughly enjoying the software and find it to be INCREDIBLY helpful in planning my messages. I normally plan for a year at a time and SermonBase helps me to plan at a much higher level than I would be able to do without it. ... There is nothing out there that does this." "I�ve been using the SermonBase software for several months now and I just wanted to let you know how very, very much I appreciate it. I am becoming increasingly familiar with it am very pleased with the sermon development assistance the software provides. ...I am having both fun and success with the software...and have none of the anxiety of past years wondering in July if I was going to be ready for Advent. Thanks again for a great tool, probably the best one I�ve purchased in the last several years!" "Dear Dr. Bill Miller ! 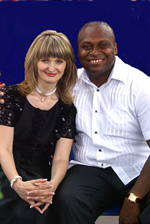 Greetings from the Ukraine in the precious name of Jesus. I would like to express my sincere gratitude to you for the sermonbase. I am a pastor in Ukraine and i desperately needed a software which can help me organize my sermons this year... It is incredible! May God richly bless you, your wife, your children and your ministry!" SermonBase Religious Software works on Windows and Mac platforms including Windows 2000, Windows 2007, XP, Vista and Mac OS X.